How could you not want more retweets. Quick Sprout put together this handy infographic on how to do just that. 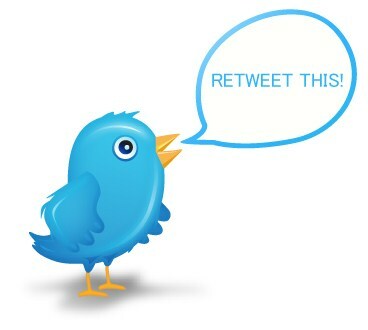 A RT will get your tweets shared to the networks of their followers. Make sure to thank them for a Retweet and they’ll be likely to do it again. I found this infographic from Timothy Carter’s blog who I follow on Twitter.